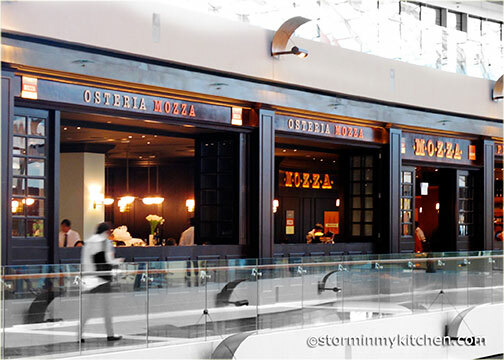 Osteria Mozza and the more casual Pizzeria Mozza next door is Mario Batali and partners Joe Bastianich and Nancy Silverton’s first venture into Asia, bringing their über successful and unanimously adored restaurants closer to us. Along with some of the best celebrity restaurants lined up at the Marina Bay Sands in Singapore, the restaurant is packed most days. We made sure to reserve a table even before we left Manila. 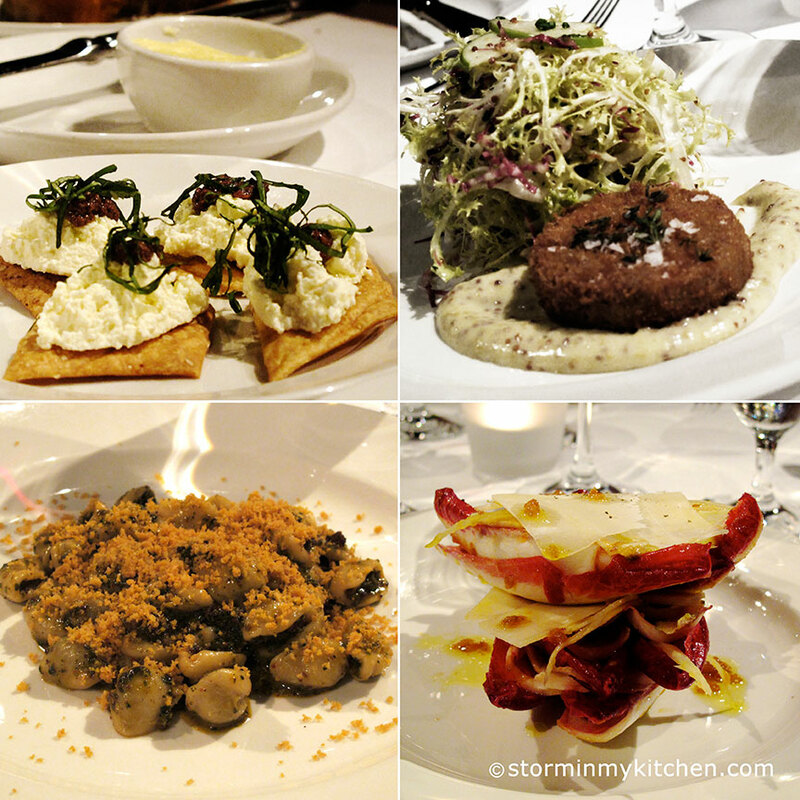 A fan of Batali since Molto Mario, to dine in both Pizzeria and Osteria was heaven-sent. It was my dad’s 70th birthday and what better way to celebrate than to delight in his signature rich sauces and wonderful choices of Mozzarella and Burrata flown in from Southern Italy. After biting into the chewy, crisp, puffy pizza, I had a feeling it will be a while before I devour another crust like this. 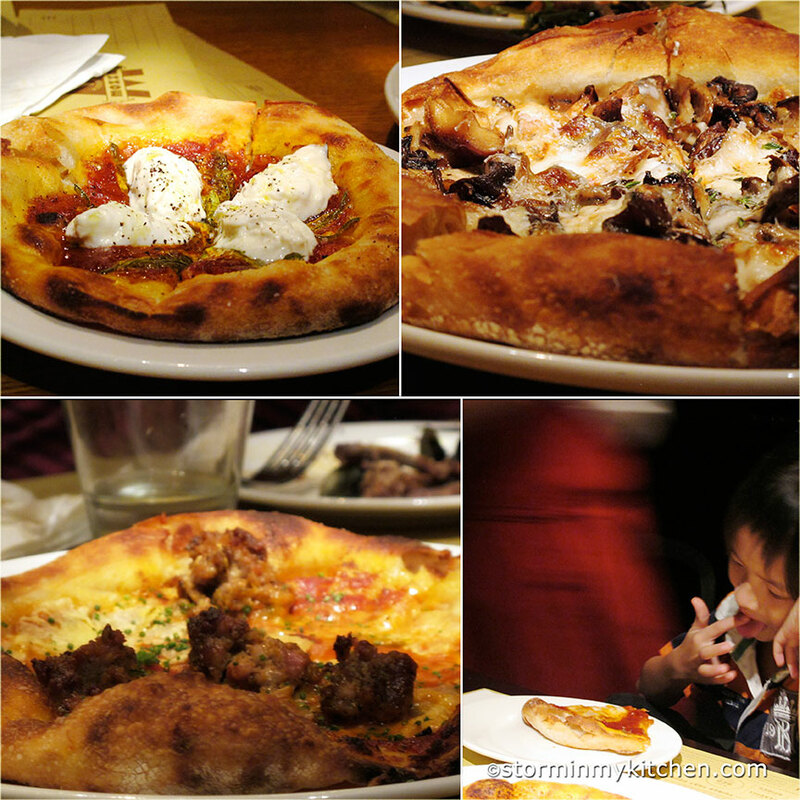 Pizza is all about the crust after all and their chewy and charred crust is everything great bread should be. Loaded with toppings such as specks, squash blossoms, fennel sausage and chanterelle… what more can a pizza-lover asks for? Among the many great tasting pizzas we ordered, Funghi Misti with fontina, taleggio and thyme came out to be the favorite. The simple Margherita remains a close second. Nothing beats a simple pizza with a perfect crust. The more upscale Osteria Mozza on the other end of the duplex is still casual and loud, fostering a relaxed atmosphere amidst the elegant interior. A bigger menu with more of the good stuff from the famous Crispy Pig’s trotter croquettes to an impeccably seasoned Porcini Rubbed Wagyu Rib-Eye Bistecca. Impeccably seasoned and grilled till the porcini crust is crispy. 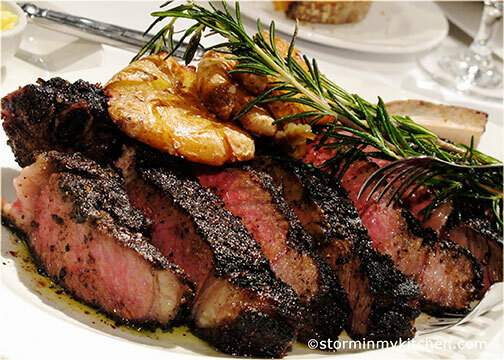 The meat cooked perfectly and the portions big enough to share. Wow! Desserts should not be missed as well. 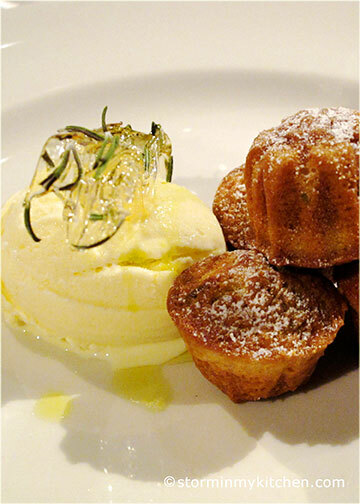 All were delightfully great but one particular favorite that piqued my fancy was the Rosemary Olive Oil Cakes with Olive oil gelato and Rosemary brittle. The flavors so interestingly subtle and melds so well together. An absolute delight. 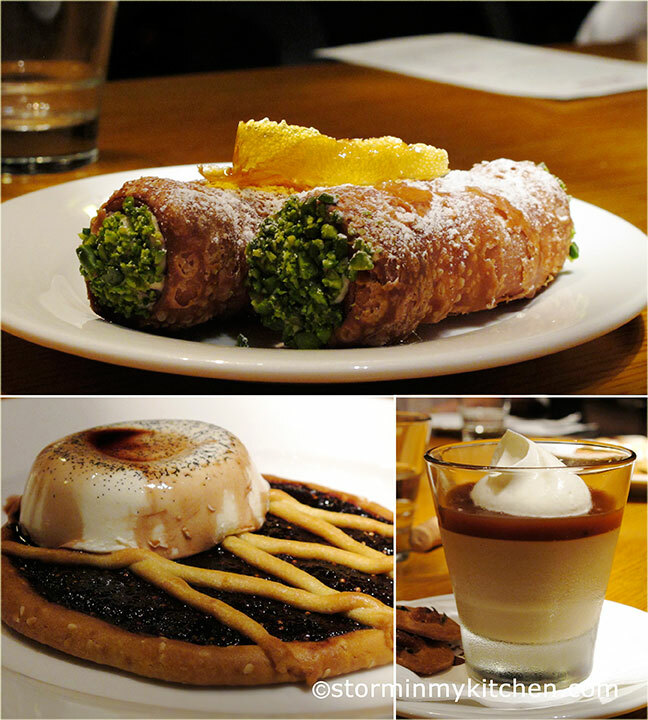 If I find myself in Singapore again, I will definitely find my way back for more of Batali and Silverton’s goodness. You are currently browsing entries tagged with Pizza at Storm In My Kitchen.